Andrew Bogle currently serves as an advisor to five startups, is a Managing Director at Reva Capital, and serves on three nonprofit boards. Prior to joining Reva Capital, Andrew was the Chapter Director of Keiretsu Forum New York, an investment community of accredited private equity investors, venture capitalists and corporate/institutional investors. There he was the main person in charge of relationships with its investors. Before working at the Keiretsu Forum, he worked for investment advisor Gerstein Fisher. While there, Andrew focused on institutions such as foundations and endowments. Previously, Andrew worked for Robin Hood, a nonprofit which fights poverty in the five boroughs of N.Y.C. While at Robin Hood he was on the development team. After attaining his M.B.A., Andrew joined Morgan Stanley Private Wealth Management. His team managed $1.4B. Andrew also worked at Brown Brothers Harriman. 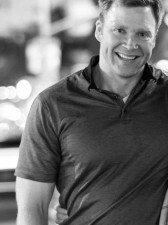 Andrew has a B.A in Economics from Connecticut College and an M.B.A. in Finance from Vanderbilt University. He holds the Series 63 and 7 licenses.